- 4 x 26g/ 0.91oz. 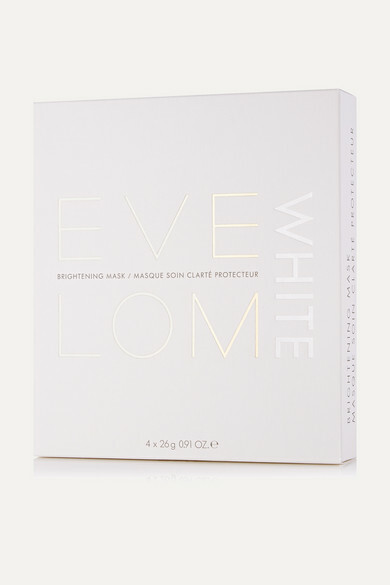 Each of Eve Lom's pure cotton masks is saturated with DermaPep™ - a powerful brightening ingredient that blocks melanin production to correct pigmentation and even your skin's tone. Leaving your complexion noticeably nourished and radiant, this set of four is formulated with collagen-boosting niacinamide and hydrating sodium hyaluronate to improve elasticity and reduce inflammation.